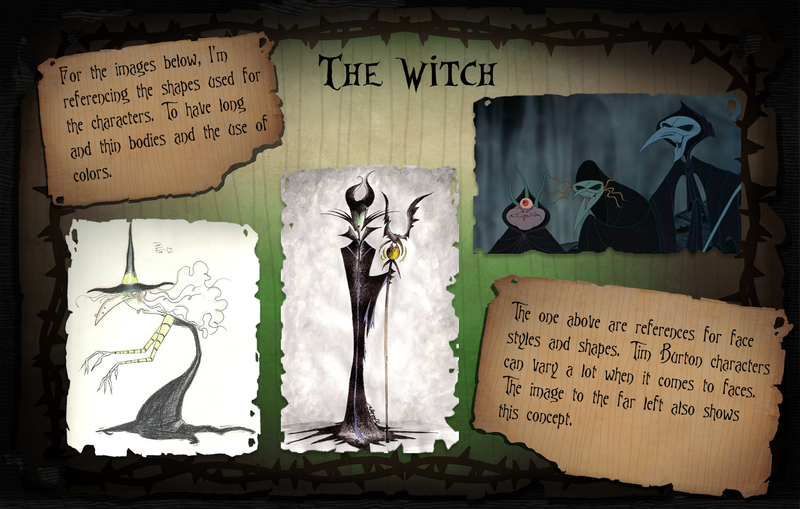 For this week my class was assigned a project to recreate the characters from "The Wizard of Oz" to be in the style of Tim Burton. My group was assigned with recreating the witch as well as her monkey companion. We created a group on pinterest for our references. You can find it here. 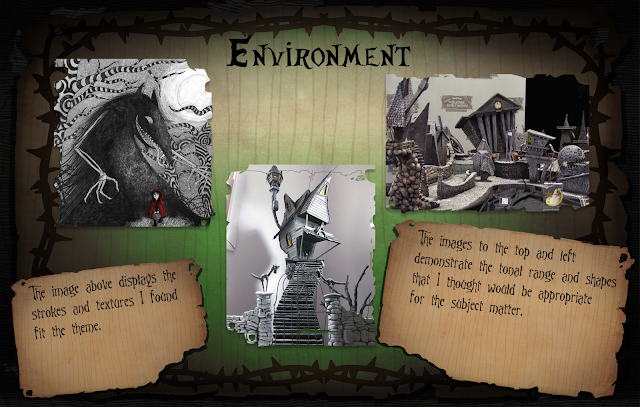 These are the boards I created for references of both the witch and the environment. You can find our references as a group on Hezekiah's blog.